Andrew Hibbert knows they’re down there somewhere. At the bottom of Lake Ontario, with decades worth of zebra mussels clinging to their hulls, sit nine models of the Avro Arrow. The models were part of a program to test the hull design of the legendary Canadian plane, cancelled before it could truly soar. Strapped to high-powered booster rockets, the 10-foot models weighed nearly 500 pounds and flew over Lake Ontario at supersonic speeds. 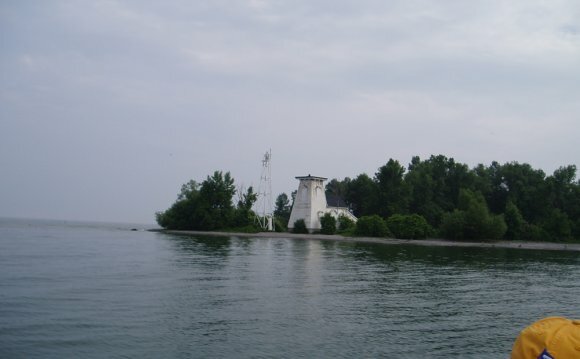 Their onboard sensors — revolutionary for the 1950s — relayed information back to the launch site at Point Petre, in Prince Edward County. The models represent a key part of the development of the scrapped plane project. The Avro Arrow made its first flight in 1958. The interceptor was widely regarded as ahead of its time in terms of aerospace technology. Its Malton plant employed nearly 15, 000 people. But development was cancelled abruptly in 1959, after five Arrows had flown. All were ordered destroyed, along with any documentation and related equipment. The models, however, were safe from the scrubbing, protected by 30 metres of water. Eleven models were tested in total: nine at Point Petre and two in Virginia. None has been recovered yet, but that hasn’t stopped so-called “Arrowheads” from hunting for them, often at great cost of both treasure and time. Hibbert, 70, leads up Arrow Recovery Canada, a group that has performed about 22 dives and scanned the bottom of the lake countless times searching for the lost models. The group began its work in 1998. That mystique propelled him and expert diver Mar Smith to devote their spare summer time to scouring the lakebed. It’s a mammoth task. The Point Petre launch site was used to test all manner of designs, littering the lake with models of missiles and other airborne prototypes. They spent the years from 1999 to 2006 researching and surveying the site. For three straight years, from 2006 to 2009, they dived down to targets that had been identified by sonar, but failed to pull anything up. They had to take a break for lack of funding, but the group hopes to get on the water again this year. “Finding them is like looking for a needle in a needle-stack, in that armaments range, ” said Russ Isinger, who wrote his master’s thesis on the Arrow and is currently writing a book on the plane. But that didn’t discourage Smith from presiding over the dives — though she admits it was a challenge to find a target so small at depths of more than 30 metres. “Sometimes when you dropped down you found nothing, because either the target was off or it was just a log. It was a learning curve, ” said Smith, who runs a diving school out of London, Ont. The ARC team isn’t the only group looking for the lost models. Ed Burtt, an experienced shipwreck diver, has also been after them. He takes issue with ARC’s research and has compiled his own information. Burtt believes there are just two models remaining in the lake, the others having been removed by government divers shortly after the test. It’s tough to pin down a straight answer on anything. Burtt says that when the models hit the lake, they skidded along the bottom — though another prominent hunter disagrees that the model would have enough force left to carve metres-long grooves into the rocky floor. “Nothing could leave skid-marks in 70 feet of water. That can’t even happen — especially when you’re talking a model that’s (10 feet) long, ” said Dave Gartshore, whose father worked for A. V. Roe, the manufacturer of the plane, during the Arrow’s heyday. Gartshore owns an Avro Richardson boat, a luxury cruiser produced in part by A. V. Roe shortly after the aircraft project. He lives and breathes the Canadian legend and also has the models in his sights. He notes he found the body of a rocket on the lakebed during an earlier outing. Gartshore has purchased his own sonar machine but wants to buy a remote-operated vehicle to scour the murky water for the models. The Canadian Navy launched a mission to find them in 2004. It spent three days scanning the lake with a sonar machine and dispatched underwater robots. While the crew didn’t find the models, they did turn up four rocket boosters and a sunken 19th century schooner.